In the famous Rose Adagio in “The Sleeping Beauty,” ballerinas find endless challenge in a series of (ideally) serene balances. Pacific Northwest Ballet principal dancers Leta Biasucci and Lesley Rausch explain how they do it. Sometimes, in a ballet, time stops. “The Sleeping Beauty,” coming to Pacific Northwest Ballet (PNB) in February, contains a legendary example. In the ballet’s first-act Rose Adagio, the ballerina playing Princess Aurora greets a series of four suitors at her 16th birthday party. Balanced on the tip of one pointe shoe, with a leg raised behind her and an arm gracefully arched over her head, she takes each gentleman’s hand in turn and then, for an instant — or more — lets go and floats the now-free arm skyward; finding, ideally, an ethereal moment of perfect balance. It’s a feat repeated eight times in the five-minute Rose Adagio — once with each duke early in the adagio, and once more with each later, with a promenade (a slow, guided pirouette, in the same position) added. And, like the fouetté turns in “Swan Lake,” it’s an iconic moment in ballet history. Generations of ballerinas have gritted their teeth through those balances, beginning with the original “The Sleeping Beauty” performance, crafted by visionary Russian choreographer Marius Petipa for the Imperial Ballet in 1890. PNB’s version, a staple of the company since 2001 (and presented now for the last time), is choreographed by Ronald Hynd but closely based on Petipa’s original. Aurora is one of the most difficult roles in the ballet repertory; Rausch calls it the hardest “as far as control and purity of the technique.” It’s a marathon for a ballerina — Act I alone, Rausch notes, “almost feels like an entire full-length in one act” — and a virtuoso display of classical technique. “There’s not a step in ‘Sleeping Beauty’ that ballet students don’t know,” said Biasucci. The Rose Adagio begins just minutes after Aurora has made her first appearance onstage; adrenaline must be quickly transformed into effortless calm. And possibly to find, as suits this fairy tale, just a bit of magic. 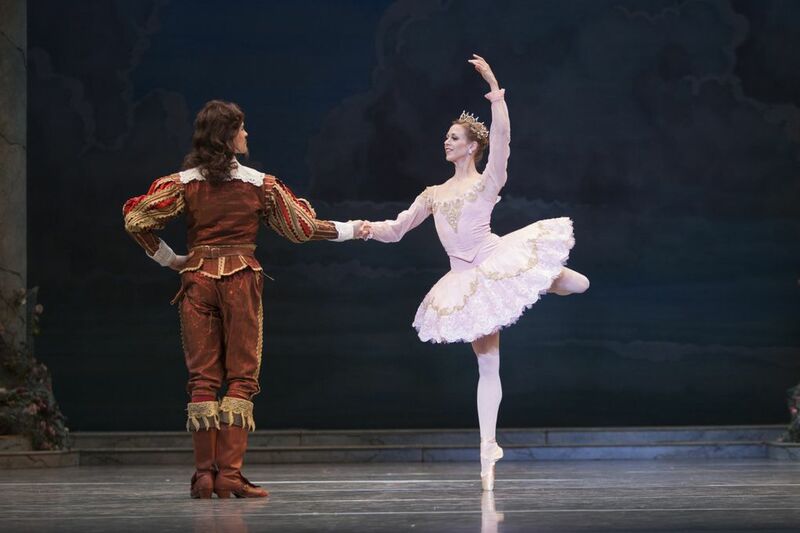 “The Sleeping Beauty,” Feb. 1-10; Pacific Northwest Ballet, Marion Oliver McCaw Hall, 321 Mercer St., Seattle; $37-$189; 206-441-2424, pnb.org. This will be the final appearance of this production, which premiered at PNB in 2001 with choreography by Ronald Hynd and sets and costumes by Peter Docherty. A new production of the story ballet will be announced at a later date. Principal dancer Jonathan Porretta, whose retirement was announced this month, is scheduled to play the role of the wicked fairy Carabosse at all evening performances; PNB soloist Steven Loch will play the role at the Feb. 2, 9 and 10 matinees. This story has been updated to reflect a PNB casting change made after publication.